Semiprecious gems and gems stones. Used by ancient Egyptian as amulet against all evils. Good health, prosperity and achievement is assured for those who use it. Price $50 or Rs1500. A amulet against bad health and mental agony. Price (4 carats) $50 or Rs1500. Price (4 carats) $50 or Rs1500. Black opal, Fire Opal, White Opal. Price (4 carats) $135 or Rs5000. All these gems will be supplied to you set in Gold and Silver ring as you like. The metal charge is extra. All most all the gemstones are with us. Lapis Lazuli:- Used by ancient Egyptian as amulet against all evils. Good health, prosperity and achievement is assured for those who use it. Price $50 or Rs1500. Amethyst:-As the colour of wine, it avoids wine addiction. It creates purity of mind and spirituality. A highly sacred stone in all religion. Clarity thought increases by wearing it. Price (4 carats) $50 or Rs1500. Turquoise:- A amulet against bad health and mental agony. Price (4 carats) $50 or Rs1500. Peridot:-Price (4 carats) $50 or Rs1500. Tourmaline:-Price (4 carats) $50 or Rs1500. Garnet:-Price (4 carats) $50 or Rs1500. Blood Stone(Jasper):-Price (4 carats) $50 or Rs1500. Jade:-Price (4 carats) $50 or Rs1500. Amber:-Price (4 carats) $50 or Rs1500. Agate:-Price (4 carats) $50 or Rs1500. Onyx:-Price (4 carats) $50 or Rs1500. 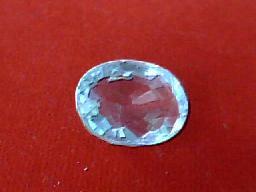 Spinel Ruby:-Price (4 carats) $50 or Rs1500. Opal:- Black opal, Fire Opal, White Opal. Price (4 carats) $135 or Rs5000. Citrine:- Price (4 carats) $50 or Rs1500. 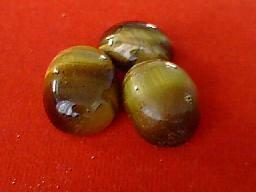 Tiger's Eye:-Price (4 carats) $50 or Rs1500. Zircon:- Price (4 carats) $135 or Rs5000. Aquamarine:- Price (4 carats) $50 or Rs1500. Pyrope:- Price (4 carats) $50 or Rs1500. 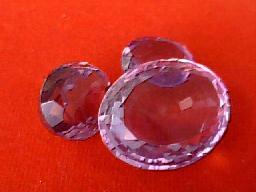 Alexandrite:- Price (4 carats) $50 or Rs1500. Black Cats eye:- Price (4 carats) $50 or Rs1500. Magnet: This term conjures up a figure of metallic magnet. But here we are talking about a stone and not about a metal. The stone does have some magnetic properties and is beneficial in correcting bodily disorders caused by wind. It is said that this stone is particularly present in huge quantities in certain regions like Bermuda Triangle and causes Shipwrecks and plane accidents there. Jaje Mani: The same stone is called as Yaje Mani. It is actually an Akeek with prominent streaks. Its surface is commonly brown, yellow or white, black or brown streaks. It is mostly found on the banks of Narmada and Indus. It has miraculous virtues. Jahar Mohara (Soap stone): This yellow coloured stone has green radiance. It is mostly used to make utensils. It is a strange kind of stone that destroys the effects of poison. It is found in Tibet, India and Iran. Jarahat (Milk stone): It is an ordinary stone not commonly used for astrological purposes. It is mostly used in cosmetics and to make utensils and idols. It has a peculiar smoothness. Many experts do not regard it as a true gemstone. Peridot: This parrot-green coloured stone is prescribed as a substitute for emerald. It is found in Norway, Arizona (USA), Mexico, Myanmar and the island of St. John. Jharana (Fountain): It is a pastel coloured stone not frequently used for astrological purposes. Water kept in the utensil made of Jharana doe not stay in it but finds a way out and seeps out. Thedi: It is also an ordinary stone, black in colour and mostly used in making utensils. Dur: It is a strong, smooth stone mostly used in utensil making due to its high density and opaque appearance. Garnet: It is mostly used as a substitute for ruby. It is bright red or pink in colour. In Sanskrit it is known as 'Tamra Mani'. Tursava: This pink coloured stone is mostly used in making utensils. Tourmaline: This semi-stone is available in many colours, but white tourmaline is most common and used as a substitute for diamond though it has less density than diamond. Kidney stone: Mostly found in green colour and resembles pistachio. It is highly beneficial in the diseases of kidney and urinary bladder. Hence it is known as kidney stone. Dur-E-Nazaf: It is an ordinary stone available in raw paddy-like green colour. It is mostly used in toy making. Darchana: This stone is mostly found in pastel, almond or slaty colours. Inside it, there appears a grain like structure and that is why, perhaps it is known as Darchana. It is an inexpensive stone. Dantala: It is an inexpensive, ordinary stone mostly available in white or light yellow shades. 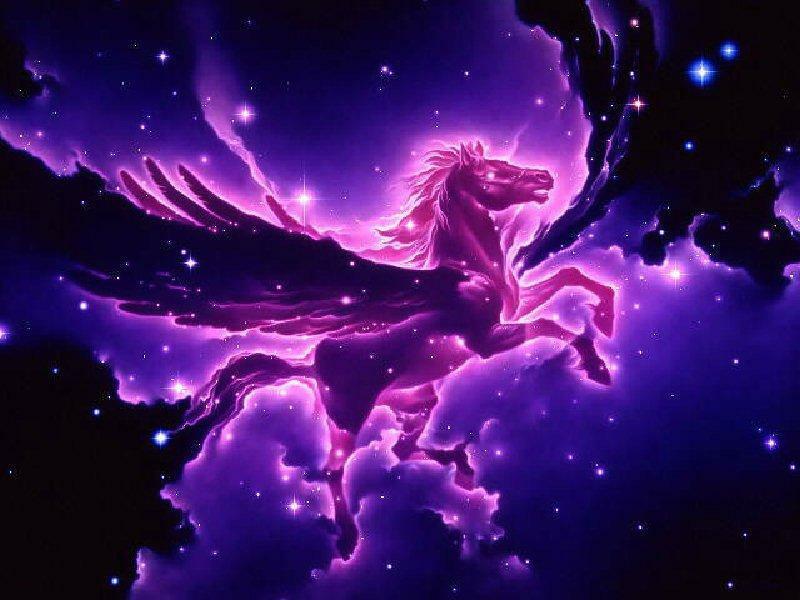 It has no astrological use. Sardonyx: This brown stone appears to have a dual structure. It has white or brown streaks on the surface. Smoky Quartz: This transparent stone is mostly available in smoky colours besides black, yellow and brown. It is mostly found in Switzerland and North Carolina (USA) and is mostly used in making idols, toys and goggles. Spinel Ruby: This stone is mostly found in pink colour though shades like green, yellow, orange, blue and violet are also common. It is used as a substitute for ruby. It is found in Myanmar, Sri Lanka, Thailand, Brazil, USA and India. Blue Sapphire: This highly famous stone is composed of aluminum oxide. It is regarded as the most respected as well as the most dangerous stone. Its positive as well as negative effects are manifested from within hours to days. Though found in many countries like USA, Java, Thailand, Australia, Sri Lanka etc. but the sapphire found in Kashmir province of India is the most beautiful and expensive. Sapphire is often compared with notorious anti-biotic penicillin because of its accelerated effects. In Sanskrit it is known as Neel Mani, Indraneel Mani, in Urdu it is known as Yakoob, Kabood. Blue Sapphire is one of the Navratna. Emerald: This green coloured stone is used to please mercury. It is bright, transparent stone with brilliant green colour and is very expensive. The best grade of emerald comes from South American countries, Columbia and Brazil. Panghat: This translucent stone is found in white, black and green colours. It appears to contain water inside it and hence looks very attractive. It is mostly used in making ornaments and toys. Blood stone: This opaque, green stone has a number of small red dots on it hence its named as blood stone. It is found in India and Siberian region of Russia. Sang-e-panni: This green coloured stone is a potential substitute for emerald. It is available both in transparent and opaque forms and is used in making utensils also. Pukhraj (Topaz or Yellow Sapphire): This rare, beautiful and expensive jewel is one of the Navratna. The best type of topaz has a brilliant yellow colour like the flowers of mustard or amaltas (Cassia fistula) and is transparent. This stone is worn to please Jupiter. In Sanskrit, topaz is known as Pushparaj, Pushparag, Peet Mani; in Gujarati it is known as Peeluraj. In Arabic and Persian it is Jard Yakoot and Asper. Rock Crystal: This white coloured hard, transparent stone is universally available and appears like an ice crystal. It is used as a substitute for the pearl and the diamond and is worn for an increment in fortune and knowledge. Aquamarine: This transparent stone is available in blue and green colours. People who undertake frequent voyages mostly wear it for good fortune. And indeed aquamarine is believed to enhance fortune. Baansi: This opaque and soft stone has a colour like under-sea vegetation. It is mostly used in making utensils. Marble: Hardly anybody will be unaware of this famous stone. White marble is mostly used in the construction of buildings and statues. Besides white, marble is available in slaty, green and black colours also. Marium: This stone also resembles marble closely and is used in the manufacture of household items. Flint stone: This seemingly ordinary stone had sustained human life in primitive era when people used this stone to make fire. In Sanskrit it is known as 'Agni Paashaan'. Rubbing of brown, black or pastel flint stones produces sparks. Margaz: This stone is regarded as a potential substitute for emerald because of its bright green colour. It is also available in violet, white and black shades. Margaz is found aplenty in Tibet, Greece, Myanmar, Siberia and New Zealand. Ruby: This jewel also belongs to Navratna category. This highly expensive and transparent stone is available in red and pink colours. It is the main stone of the sun. Though found in many countries like Thailand, Sri Lanka and China but the best type of rubies come from Myanmar. In Sanskrit ruby is known as Padmaraag and Kuruvind while in Urdu it is Surkh Yakoot. .
Jet: This black coloured smooth and shining stone has both astrological as well as construction uses. Often, this stone is also called as black marble. Coral: Coral is infact fossilized rocks formed from the sedimentation of dead tiny organisms named coral. It is mostly red in colour though white and pink corals are also common. The best type of coral comes from Italy. In Sanskrit. Coral is known as 'Pravaal', 'Vidram', 'Angaarak Mani'. In Urdu, it is known as 'Mirjaan' or 'Marjaan'. Muve Nazaf: This ordinary and opaque stone has omnipresence and is mostly used in the construction of buildings. It is white in colour with distinct streaks. It is mostly used in making the floor of houses. Pearl: Pearls also have an organic origin counted among stones because of their miraculous properties. Now a days culturing of pearls is a popular business. Pearl is worn to please the moon and correct mental disturbances and abdominal diseases. Mostly pearls are in white in colour though shades of yellow, blue, black and pink are also common. Excellent pearls come from Basra, a traditional centre of pearl trade in Iraq. In Sanskrit, pearl is known as Muktak, Muktaa, Mauktik while in Arabian and Urdu it is known as Gauhar. Mritangaar: It is a solid isotrophe of carbon that begins to glow like fire when rubbed or polished and appears like cinder. Jasper: This opaque stone is available in red, blue, white, yellow and green colours. It is mostly found in Myanmar, Egypt, Iran, China and North America. Jew stone: This stone has more medicinal than astrological uses. It is effective in the treatment of respiratory disorders, asthama and renal diseases. Carnelian: This red coloured stone is mostly used in the treatment of fevers. Romani: This is a red coloured ordinary stone mostly used in making utensils. Cat's eye: This stone is available in white, brown, black and green colours and appears like the eyes of a cat. This also belongs to Navratna category and is worn to please the shadow planet Ketu. It has distinct streaks known as cosmic threads that appear to move when the stone is seen from different angles in flood light. In Sanskrit it is known as Vadurya Mani and Vidalaaksh while in Gujarati it is Lassuniyo and in Bangla it is known as Sutra Mani. Lapis Lazuli: This blue coloured, transparent stone has brilliant golden spots on it. In ancient times Lapis Lazuli was regarded as Sapphire. Even today it is used as a potential substitute for the true Sapphire. It is mostly found in Afghanistan, Chile and Siberia. Spinel: This pink stone is powerful substitute for ruby. Occasionally it is found in black, green and white shades also. It is mostly mined in Brazil, Myanmar, India and Australia. Ludhia: This red coloured opaque stone is universally available and is used in construction purposes mostly. It is mainly quarried near Chitrakoot on the border of Madhya Pradesh and Uttar Pradesh. Seezari: Being green in colour, this stone is used as a substitute for emerald. Twinkling stone: Known as Sang-E-Sitara in Persian, this ochre colour stone has a number of twinkling dots. But you can hardly find a genuine twinkle stone in the market and as long as it is not genuine it cannot produce its effects. Sangi: This beautiful stone is available in almost all colours. And mostly found in the rivers of Himalayas. It is mostly used to make decorative items and utensils. Sargahi: Naturally this stone is found in triangular shape and white and brown colours carried mostly in the Persian Gulf. Simac: This white spotted and dull stone is mostly used in making mortars and tumblers. Singli: This opaque stone is available in red and pink colours and regarded as a substitute for ruby. Mostly quarried in Mysore region of Karnataka. Vermilion stone: Though ordinary in appearance this stone has tremendous astrological importance. It is mostly available in pink colour. Citrine: This transparent, lime coloured stone is regarded as a substitute for topaz. Often known as golden quartz, this stone sometimes appears more beautiful than true topaz. Gold fly: This white coloured stone has a tinge of red and is used more as medicine than for pleasing the planets. Sun stone: This strange stone is available in orange, red and yellow colours and appears like a cinder. In Sanskrit it is known as Angar Mani in Persian as Sand-e-atash. It is mostly found in Norway and Siberia. Cibar: This opaque stone belongs to the jewel category. Available in green, this stone has almond-coloured streaks. Hawas: This ordinary stone is available in golden colours. Halan Larza: This pink stone has strange brilliance. When moved in flood-light waves appear to rise in this stone. Diamond: Hardly anybody will be unaware of this famous jewel. This brilliant, attractive and transparent stone has white, blue and reddish hues. It has miraculous. Latent powers which are both constructive as well as destructive. It is the hardest substance known to man. It is a precious stone very dear to Venus. Hazarat-e-Ud: This oridnary, unattractive stone is mostly used as medicine to treat urinary disorders. Hadeed: This inexpensive, ordinary stone is universally available in slaty and pastel colours. It is mostly used in making the rosaries. Philosopher's stone: Real existence of this stone is doubtful except in folklore. Hence, describing its physical properties is very difficult job. It is a common belief that any metal can be turned into gold by a mere touch of philosopher's stone. You can order these gems directly by e mail & Pay by paypal.